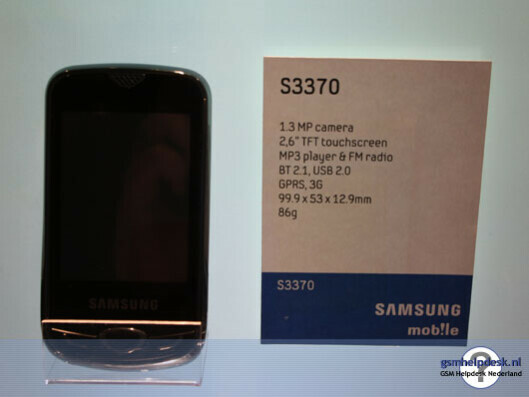 The first pieces of information revealing the existence of the Samsung S3370 got leaked on the Internet about a month ago. According to them, the handset is an affordable device equipped with touch-sensitive screen that utilizes Samsung's TouchWiz 2.0 interface. The manufacturer has now showcased the S3370 at the ongoing TeleVision 2010 in the Netherlands, although it has not been officially announced to date. 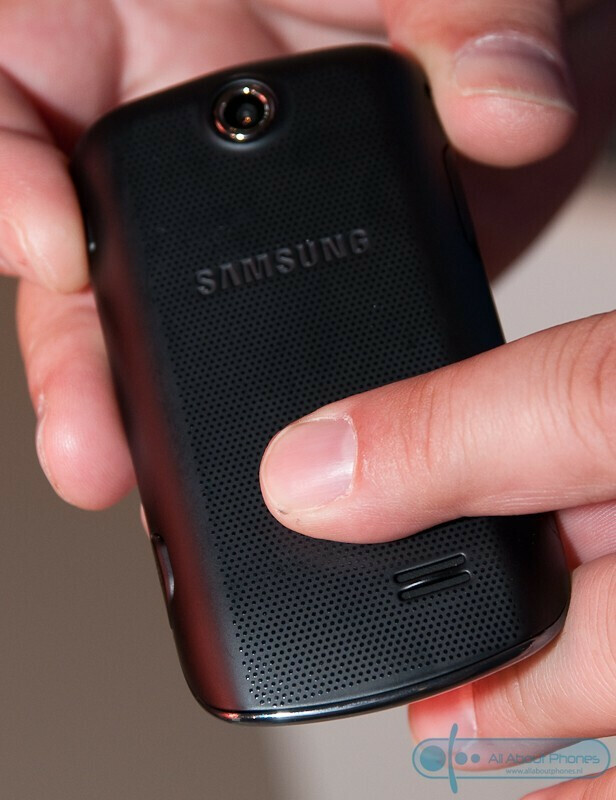 Fortunately, the Samsung S3370 is being shown along with a tag indicating some of its specifications, including 2.6" touch-sensitive screen (resistive), weight of 86gr., 1.3-megapixel camera, 3G, Bluetooth 2.1, FM radio and audio player. Nothing ground-breaking really, at least at first glance, but keep in mind the device is expected to roll out at a price of under 100EUR, which will certainly make it much quite appealing on the overall. Samsung has not shared information on the possible release date of the S3370, but we do know the handset is a welcome new contestant in Samsung's fight for dominance over LG in this segment of the market. Why is the screen so small when there is so much room for it to be atleast 3 inches and 1.3 megapixels? really? is this 2006? No.